Following the acquisition of Currensee back in September 2013, Oanda has incorporated the Trade Leaders Program within its own front-end for customers of its proprietary fxTrade platform in a move which aims to attract its already existing client base to copy trading. All of the company’s customers are able to get a glimpse at the performance of the program’s Trade Leaders and get acquainted with the emerging trend of social trading. OANDA’s Trade Leaders Program (OTLP) was introduced to the company’s MT4 clients through its front-end at the beginning of December, in a press release, today, the firm has made its release global by including its proprietary fxTrade platform to the offering . The announcement outlines the possibilities for retail investors to mirror the trading strategies of entities with a proven track record. The launch can also pilot some new trade leader applications, as the company has a substantial client base that could be interested to provide signals to the community, as well as the appeal to work with one of the biggest FX brokerages could drive others to offer their services. It is worth mentioning that while the deep integration of Oanda’s services with Currensee is ongoing, it is not disrupting its existing function as an introducing broker. The social trading website still supports FXCM, Alpari, Swissquote, FXDD, AvaTrade and others. The Trade Leaders Board is the same that is offered to clients of Currensee, providing a rigorous process that goes through regulatory and background checks in combination of at least six months of demonstrated performance to determine the suitability of Trade Leaders to provide their services. 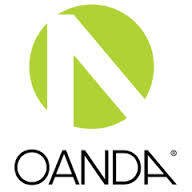 In terms of benefits to the company and to the Trade Leaders, the usual compensation plan for Currensee Trade Leaders is in place – they collect a 15% fee from their fellow followers, while Oanda’s direct revenue from OTLP is gained from a fee structure based on the total volume of trades. After prospective OTLP leader candidates file an application with Currensee, a long process of assessment is triggered. Key criteria include risk management practices, performance metrics, a strategical approach to trading and the candidate’s background that qualifies him/her as a professional trader. A list of questionnaires, interviews and reviews is conducted before a new Trade Leader is born. The final process includes live testing of the performance of the candidate – Oanda is essentially the first follower of every of its trade leaders to verify that a strategy is feasible to offer to its customers. The company states that at least six months of stable performance are required in order to qualify for a trade leader. While some may argue that this period is not enough to determine whether a strategy is profitable enough, statistics about maximum draw-down percentages have provided clues to prospective followers about the risks involved in copy trading. 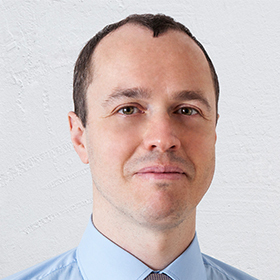 While full statistics are available, a potential problem with copy trading practices is whether prospective clients of copy trading are familiar enough with the term “maximum draw-down” – as Forex Magnates has already reported that the FCA is looking into social trading and the risks associated with it. The company has stated to Forex Magnates reporters that it is in full compliance with FCA’s guidelines outlined recently and that the copy trading industry only states to benefit from a regulatory environment that ensures high standards, transparency and fair practices for all market participants. In the end it is the responsibility of the clients themselves to take good care of their funds, and for those who haven’t got any prior experience in investing in similar ways they can always contact the company. While risks remain, social trading is gaining traction to become the easiest (and possibly cheapest) way to follow the practices of professional traders with a proven track record.